For an Asian city, Kuala Lumpur is by no means an old city. A town carved out of virgin jungle in the mid-19th century by Chinese and Malaysian tin miners, the British wasted no time in putting their mark on when they arrived in the late 1800s – as evidenced in the charming colonial houses brought back to life as Art Deco hotels. Despite this, a futuristic skyline dominates the city. Skyscrapers mingle with mosques on the horizon as ancient cultures merge on the streets below. But best of all, you can eat anything, any time here – making it an extremely visitor-friendly city. If you have a head for heights, a jaunt across the Skybridge, a glass walkway that links the two Blade Runner-esque Petronas Towers, should be high on your list of priorities. Or head for an early evening cocktail at the SkyBar in Traders Hotel, where there’s a rooftop pool and views you just wouldn’t believe without seeing. As the sun sets and the lights come on, you’d be forgiven for thinking you’d slipped into the next dimension on the way up in the lift. Embrace it, and order another cocktail. But this city isn’t all about the high life– some of the best of it is seen at its simplest on street level. Perching on plastic chairs while breakfasting on dim sum at a café can be just as memorable and evocative an experience as time spent at any four-star hotel. Malaysians are justifiably proud of their cuisine, a rich mix of Malay, Chinese and Indian, and the most usual greeting here is not ‘How are you?’ but, ‘Have you eaten yet?’ There’s a Little India as well as a Chinatown, and a multitude of Malay kampung houses where you can try excellent food. It’s as common to have roti for breakfast, a grilled Indian flatbread smothered with coconut curry, as it is to have dim sum. After eating, shopping is the second hobby of the people here. Some of the best malls are the more mature ones – try Sungei Wang Plaza in the Golden Triangle for Malaysian kitsch, and Suria Kuala Lumpur City Centre, next to Petronas Towers, for boutique shopping. That said, this isn’t a city solely given over to entertainment – it remains wrapped in a diverse cultural heritage. Domes and minarets strike a surreal chord against the skyscrapers. For a cultural hit, the incense-filled Buddhist Thean Hou Temple is well worth a visit, as is the riotously colourful Hindu Sri Mahamariamman Temple. Kuala Lumpur is unique in having three forest reserves. Quite spectacular is Bukit Nanas, one of the oldest virgin rainforests in the world. Walking here after an afternoon downpour when fat raindrops still cling to the underside of leaves is a steamy affair and all the more pleasurable because of it. Kuala Lumpur’s music scene is thriving. Try Alexis, a jazz venue owned by a couple called Huan and Angela that attracts some of the best musicians in the world. Visit the textile stalls of Lorong Tuanku Abdul Rahman (halfway between Chinatown and Little India) for extravagant woven batiq and embroidered silks. 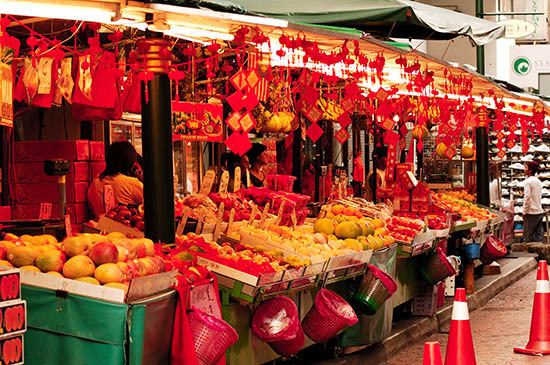 The Chinese Night Market on Petaling Street sells gaudy gifts among the amazing food stalls. Try assam laksa, thick rice noodles in a tamarind fish soup. The Batu Caves make for an excellent day out – a bit like the Temple of Doom from Indiana Jones, complete with naughty little monkeys stealing your stuff. This article is by Ellie Fazan and was originally published in our Experts Magazine.